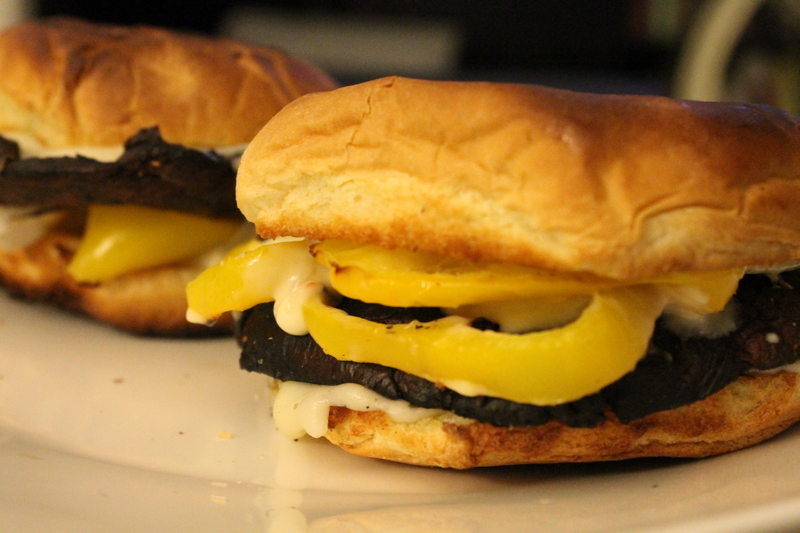 I’ve never been a huge fan of burgers that don’t have meat, but a few months ago after my neighbor made me a vegetarian burger made from grilled portabella mushrooms, I became hooked! This recipe is quick & easy and most of all, satisfying. Spoon mayo spread on buns, add mushroom, top with peppers and onions, and serve!